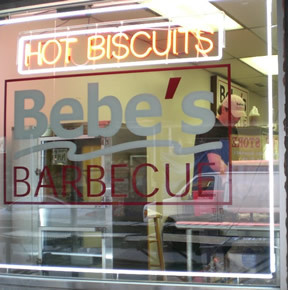 Bebe’s began as astuce clash of clans an idea, inspired partly by an article in thePhiladelphia Inquirer about the revitalization of the Italian Market on South 9th St and also by Mark Coates’ grandmother cooking. Mark learned what he knows about southern style cooking from watching his grandmother, Bebe, in the kitchen and he picked up his barbecue techniques from his family in North Carolina. 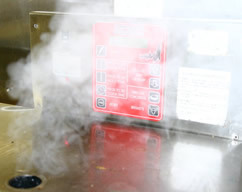 Mark loves to interact with the customers and works late into the night preparing the pork shoulders and brisket, and puts them into the smoker, so they come out perfect, when Bebe’s opens at noon. You know the meat is ready when it literally falls off the bone and has a crust created by smoking the flavorful rub, also known as 'the bark'. 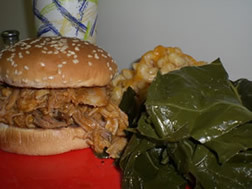 The pork is pulled apart by hand and chopped to the customers liking (fine or coarse) and mixed with your choice of two sauces, a vinegar-based ‘East Carolina’ sauce or a tangy, tomato-based ‘Lexington’ sauce, and is served on a plain white hamburger roll, seeds optional. Make your sandwich a platter and try two of the many types of vegetarian, fresh-made-in-house-daily sides. Cornbread and southern style sweet tea top the meal off but make sure you leave room for one of Bebe's delicious desserts! 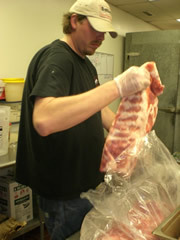 Thanks for choosing Bebe’s, Philadelphia’s premier small batch Carolina barbecue, hawg on!! !